Many Americans have condemned the "enhanced interrogation" techniques used in the War on Terror as a transgression of human rights. But the United States has done almost nothing to prosecute past abuses or prevent future violations. 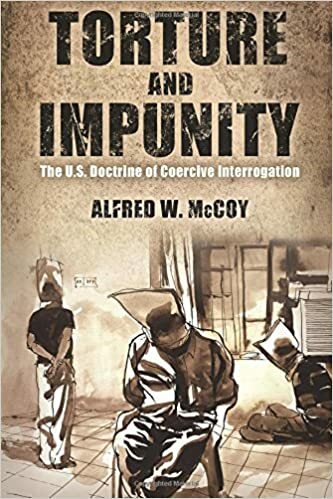 Tracing this knotty contradiction from the 1950s to the present, historian Alfred W. McCoy probes the political and cultural dynamics that have made impunity for torture a bipartisan policy of the U.S. government. During the Cold War, McCoy argues, the U.S. Central Intelligence Agency covertly funded psychological experiments designed to weaken a subject's resistance to interrogation. After the 9/11 terrorist attacks, the CIA revived these harsh methods, while U.S. media was flooded with seductive images that normalized torture for many Americans. Ten years later, the U.S. had failed to punish the perpetrators or the powerful who commanded them, and continued to exploit intelligence extracted under torture by surrogates from Somalia to Afghanistan. Although Washington has publicly distanced itself from torture, disturbing images from the prisons at Abu Ghraib and Guantanamo are seared into human memory, doing lasting damage to America's moral authority as a world leader. The book is published by University of Wisconsin Press. indication that signiп¬Ѓcant changes in attitude can be brought about by use of propaganda under conditions of isolation.вЂќ Simultaneous with this correspondence, the Research Board soon quieted the press with a cover story about Hebb doing research to relieve monotony among those monitoring radar screens.п�ѕп�є Even so, questions were raised in CanadaвЂ™s Parliament, and the Cabinet decided, on вЂњquestions of principle,вЂќ that вЂњthe contract with Hebb at McGill be cancelled.вЂќ In an internal memo to Dr.